Do your windows and walls cry? This natural episode that you may witness on your window, on your doors, in the bathroom or in the kitchen occurs when water vapour in the air condenses and the drops become visible (and palpable), wetting walls and carpentry frames. It is typical of winter because it happens when the interior temperature of the house is much higher than the outside, and when it is below the point of dew of the air that is in contact with it. Of course I am referring to condensation. Condensation occurs when warmer air (the air inside your house for example) comes into contact with a cold surface such as a window. Warm air can carry much more water vapour than cold air, so when warm air cools due to proximity with a cold surface, the water vapour is released and condenses into water. Breath on a cold window and you can see the problem in action (albeit on a small scale). Lack of air circulation can add to the problem, meaning that condensation will almost always be worse in the winter when the outside air is colder and doors and windows are kept shut. The points where this condensation happens (window frames, tiling and glass, especially), are non-absorbent surfaces, and this humidity ends up producing fungi, black spots of mould and the consequent smell of humidity. In addition to spoiling the paint and other finishing materials in your home, this humidity is very harmful to health and may affect the whole family, becoming a dangerous breeding ground for respiratory diseases, especially for asthmatics, children and the elderly. 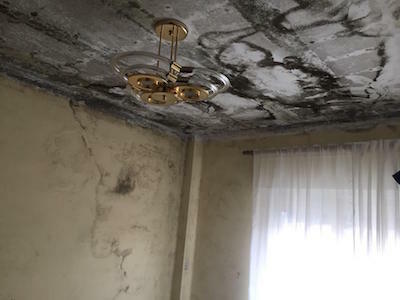 To avoid these problems, take good note of the common causes of condensation moisture. Our own use of water. Especially from hot water, when we shower, cook, dry the clothes inside ...Even the mere act of breathing is already producing condensation. No!! I am not going to ask you to stop breathing, but to give you an idea, a family of four produces more than 8 litres of water per day. Surprising, right? Thermal insulation and the lack of. To combat said condensation, it is very important that the house be built and detailed with materials that act as steam barriers, combined with good ventilation. Double-glazed windows, for example, work that way (but do not lose sight of other very basic household elements to insulate, such as doors, walls, etc. Ventilating the house properly is, perhaps, the most important key to overcoming the battle to condensed air water. Here in the Coast there is no excuse for not ventilating even in a cold day. 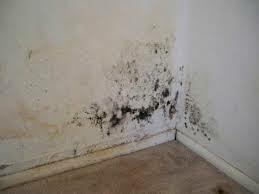 5 natural economical remedies to eliminate mould from your home. • Do not dry clothes on the radiators, it will convert your moisture directly into steam. • Dry it outside whenever possible and, if you have to do it inside, let it be in well-ventilated rooms. • Ventilate properly when showering or cooking, to avoid concentrating the steam at a single small point (especially, open the windows once you are finished). • In the case of the kitchen, always use the extractor hood to better manage that steam torrent that, otherwise, can gradually soak and spoil your furniture. • Separate the furniture from walls and windows to prevent the humidity produced from damaging them. • Keep the heating on at low level for a long time instead of switching it off for a long period and then try to switch on at very high temperature for a short period of time, so that all the surfaces of the house have a pleasant minimum temperature that does not attract that condensation. Sudden changes in temperature, derived from an exaggerated blow of heating, are common causes of condensation in different parts of the house. And if, you have an important problem of condensation around your windows or on places where you do not expect it, it is important that you inspect it, with the help of a professional. It is imperative to locate those damp patches, in this way you can detect the place where you should make a study of the surfaces and contemplate the possibility of putting a remedy as continuous humidity tend to slowly ruin all types of materials.